Michael Wallace: Michael Wallace is an environmental officer working for the Small Craft Harbours (SCH) program of the federal Department of Fisheries and Oceans. SCH operates and maintains a national system of over 1,000 federal harbour facilities with an estimated replacement cost of over $2B. Mike provides analysis and recommendations to SCH engineering staff and senior management on environmental management and regulatory compliance of SCH operations and assets. He has considerable knowledge of public sector environmental management, having experience within federal, provincial, and municipal levels of government. Mike holds an Ontario College Diploma as an Environmental Technician from Canadore College, a B.Sc. in Environmental Biology and Technology from Nipissing University, and a Master’s degree in Environmental Science from the University of Toronto. Guest Panellists: Kevin Alemany from Stantec Consultants Ltd., Andrew Philopoulos from Conestoga Rovers & Associates, Edward Norrena from EDGE Environmental Consulting Ltd., Laureen Chung from Infrastructure Canada, Michael Wallace from the Department of Fisheries and Oceans, and more! Laureen Chung is a Senior Project Manager of Environmental Review and Approvals with the Program Operations Branch of Infrastructure Canada. She has an Honours Bachelor of Science in Environmental Engineering from the University of Guelph and is a licensed Professional Environmental Engineer and LEED Accredited Professional. Laureen has 15 years of experience working in Canada and internationally with environmental infrastructure projects involving water, wastewater, green buildings, solid waste and energy efficiency. Upon graduation, Laureen went to Bolivia to work with the non-governmental organization Plan International and the World Bank/United Nations Water and Sanitation Program. She then returned to Canada to work with various public and private sector organizations in Ottawa. In her role with Infrastructure Canada, she is responsible for ensuring that federal environmental assessments are completed on projects funded under the Economic Action Plan and other programs. Guest Panellists: Kevin Alemany from Stantec Consultants Ltd., Andrew Philopoulos from Conestoga Rovers & Associates, Edward Norrena from EDGE Environmental Consulting Ltd., Laureen Chung from Infrastructure Canada, and more! Edward Norrena: Mr. Edward J. Norrena is currently President of EDGE Environmental Consulting Ltd. During the last two and a half years, he has been seconded to Foreign Affairs and International Trade as the Global Practice Lead for the Environmental Industry Sector/Cleantech. He previously led SLR Consulting (Canada) Limited’s Climate Change and Sustainability practice. Between 2006 and 2008 Mr. Norrena was Regional Manager for Eastern Canada for Gartner Lee Limited, which provided environmental science, economics, planning, and engineering consulting services. From 2000 to 2006 he was General Manager of SENES Consultants Limited, specializing in areas that included policy development, strategic planning and environmental technology programs. Mr. Norrena has undertaken projects in markets including China, Pakistan, India, Poland, Mexico, Brazil, Argentina, Serbia, Poland, Chad, Zambia and Latin America and the Caribbean. Until 2000, Mr. Norrena was Director General for the Environmental Technology Advancement Directorate of Environment Canada, with responsibility for national and international programs, technology transfer and for technology programs in biotechnology, municipal waste, climate change, air quality and contaminated sites. In his prior capacity as Director General for the Regulatory Affairs and Program Integration Directorate of Environment Canada, he was responsible for the review of the Canadian Environmental Protection Act and for global strategies programs. Prior to this Mr. Norrena worked in an operational role as Regional Director General for Atlantic Canada Mr. Norrena is past chair and board member of ECO Canada (Environmental Careers Organization). Mr. Norrena is a professional engineer and holds an M.A.Sc. in Water Resources Engineering and a B.A.Sc. in Civil Engineering from the University of Waterloo. Guest Panellists: Kevin Alemany from Stantec Consultants Ltd., Andrew Philopoulos from Conestoga Rovers & Associates, Edward Norrena from EDGE Environmental Consulting Ltd., and more! Andrew Philopoulos P.Eng. M.Sc. – Mr. Philopoulos is an Intermediate Engineer with Conestoga Rovers & Associates (CRA) and has seven years of engineering experience. Since 2007, Mr. Philopoulos has been with CRA and has primarily worked on contaminated site and waste management projects as a Project Manager/Engineer. Contaminated site projects have involved remediation planning and design, groundwater extraction and treatment systems, compliance monitoring and reporting, and intrusive field investigations. 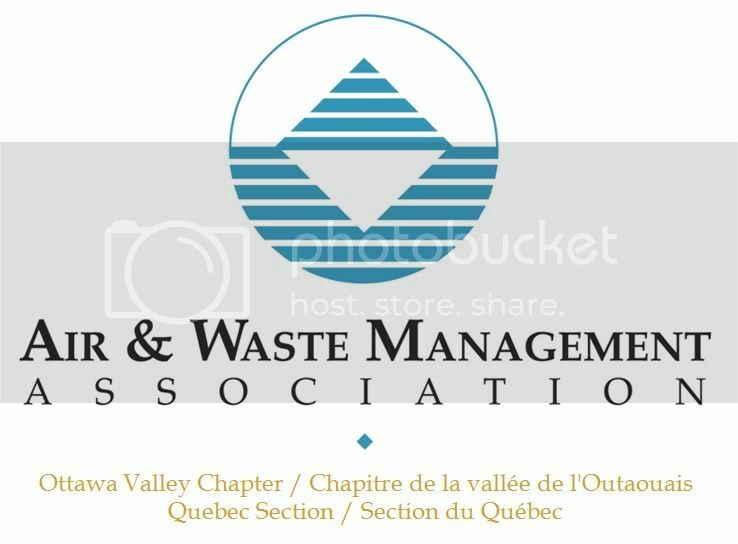 Waste management related experience includes all aspects of landfill design (e.g., Design and Operations Plans, Closure Plans, leachate treatment, and landfill gas modelling), landfill compliance monitoring, transfer station design, and waste audits. Mr. Philopoulos graduated with a M.Sc. 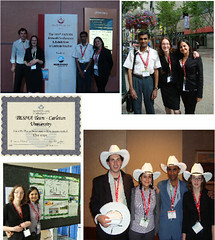 from the University of Alberta in 2006 and completed research on a treatment technology to mitigate greenhouse gas emissions from an Edmonton area landfill. Mr. Philopoulos completed an undergraduate degree in Industrial Engineering from Dalhousie University in 2001 and worked between 2002 and 2004 as a Process Engineer for Hood Packaging in Calgary. Mr. Philopoulos is a professional engineer registered in the Province of Ontario. Guest Panellists: Kevin Alemany from Stantec Consultants Ltd., Andrew Philopoulos from Conestoga Rovers & Associates, and more! Kevin Alemany, M.A.Sc., P.Eng., is a project manager and senior environmental engineer with over 11 years of consulting engineering experience with Stantec Consulting Ltd. He is involved primarily in municipal water & wastewater infrastructure planning and design and specializes in water distribution system hydraulic & transient model development and analysis. Kevin’s experience also includes the preparation of Municipal Class Environmental Assessments, Infrastructure Master Plans, Serviceability Analyses and Infrastructure Assessments. Kevin earned both his Master of Applied Science Degree in Civil Engineering with a Specialization in Environmental Engineering (2000) and his Baccalaureate in Applied Science Degree in Civil Engineering with an Environmental Engineering Option (1997) from the University of Ottawa. Navigating the job market can be a daunting task. Thankfully, SEEDS understands and is bringing in reinforcements! “Career Panel for the New Environmental Professional” is a career panel made up of SIX working environmental professionals that have agreed to come and answer all and any of your questions. Career Panel for the New Environmental Professional takes place on Thursday, January 26th 2011 from 7 p.m. to 8:30 p.m. in Mackenzie Building room 3275 . You can reserve your spot by clicking here. The SIX invited panellists will be speaking about their experiences in the job market since leaving University and will answer any questions you may have. Keep an eye on our blog throughout the week to learn more about our invited guests. For all you graduating engineers out there, Conestoga-Rovers & Associates is looking for a bilingual junior engineer to work on air and noise projects in Ottawa. One of the panelists on next week’s Career Panel (taking place on January 26th from 7pm to 8:30pm in room ME 3275) is a representative from Conestoga-Rovers & Associates and attending the panel would be a great opportunity to get a feel of the company. An stay tuned for more details about our panelists for the career panel next week!